The Quality Contracting LLC Team On-Site For A Large Residential Driveway Construction Project. 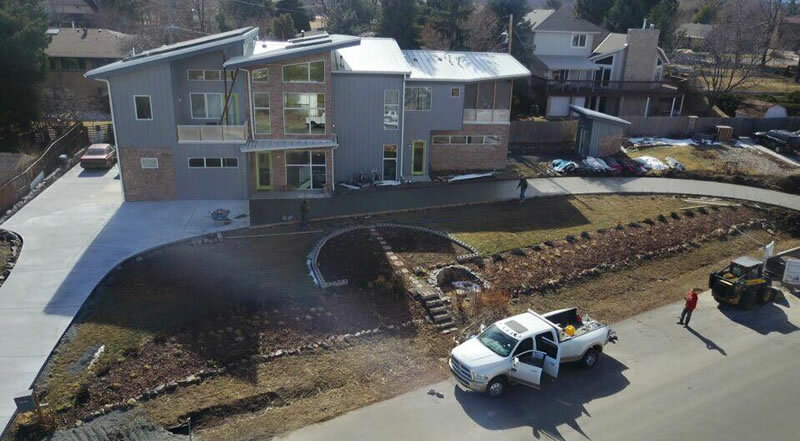 Quality Contracting LLC, is a small family owned concrete business based out of Aurora CO and serving all of Aurora and the Denver Metro area. We have served the metro for the last 22 years. Whether you have a basic concrete project such as repairing a patio or driveway or something with more advanced such as a foundation, large driveway replacement, new backyard landscape or a commercial project, we can help. Our name Quality Contracting LLC was chosen because of our attention to detail and unwavering commitment to the highest quality of finished concrete construction projects. We have many repeat clients and word-of-mouth referrals, that only come, from completing high quality work. We always take the time necessary to make sure your concrete project comes out looking beautiful and improves the function and aesthetics of your property. We use quality materials, we use the best cutting edge concrete finishing methods, and we only employee quality people who truly care about the work they do. With direct owner/operator supervision on every project you can count on great communication, a clean job site, and projects that are on time and on budget (sometimes weather permitting). Feel free to call or email with questions. We look forward to hearing from you. We would like to take a minute to thank all of our clients as they have helped us become who we are today. We take pride in our work and enjoy what we do. Our commitment is to deliver quality workmanship at an affordable cost.